K-tel's track listings merely reflected the diversity of top 40 charts back then. 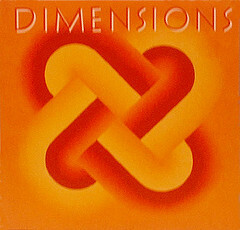 All of the track on Dimensions were Billboard top 40 'Hot 100' hits during 1981. This was the first year I really took notice of music, at the tender age of 10. I was exposed to the beautiful diversity of everything from Kool & the Gang to Terri Gibbs to Grover Washington, Jr. to Loverboy to Dolly Parton. All on top 40 radio at the same time. It gradually changed as everything began to sound the same.